This dryfly trip is the first time ever that I fell when fly fishing. 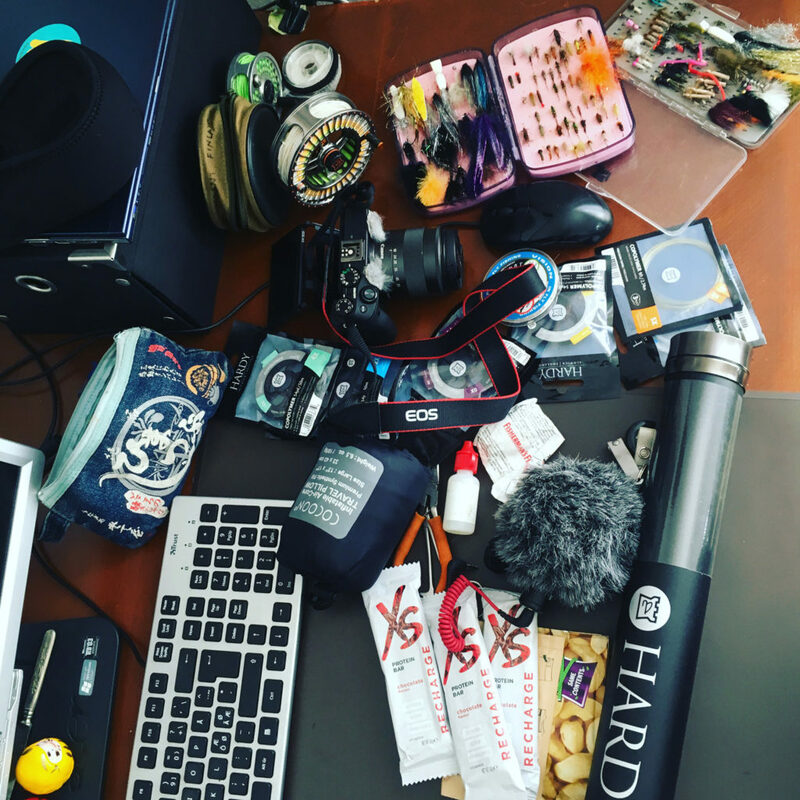 All in all, the trip rumpled pretty much with everything. Although the conditions were great with a nice caddis hatch. But sometimes things just don’t work out. This episode is from Kuhmo Finland, right after midsummer. We were on our way back home from a longer fishing trip (which you can see here). If you liked this video, please share it with your fishing buddies and make sure to subscribe to my YouTube channel. If you’re interested about fly fishing, there’s a free fly fishing Cheat Sheet, my little gift for you. You can get your free copy from the download link at the end of the blog post. See you on the next video! So. This is the trip that there was a super hatch of caddisfly and I was filming myself while had a fish on. Then fell to the river! And then my camera battery died. I was fishing for grayling with dryfly when I fell. My friend had earlier caught a grayling with pink ant dryfly. 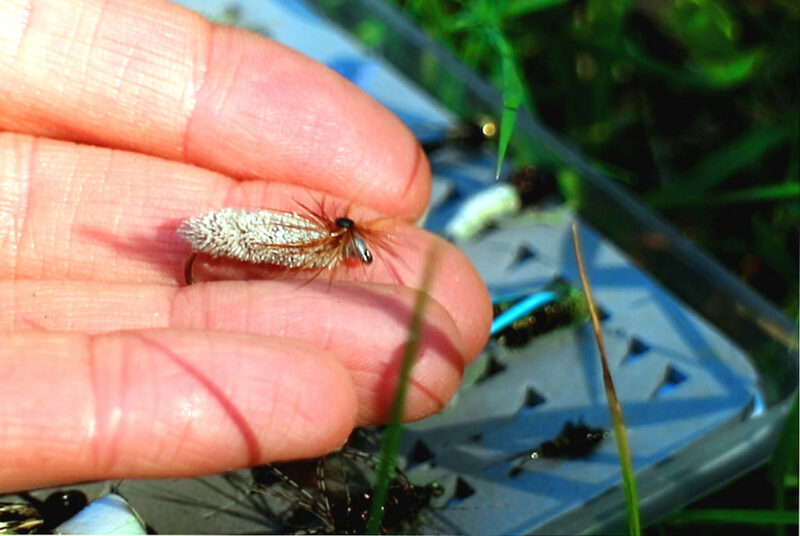 My selection for the conditions when fish are active and eating from surface was a caddis dry fly with parachute style hackle. I love this dryfly for grayling fly fishing. This video is part of my 10k Fly Fishing Experiment. I want to share my outdoor adventures with you, to inspire you to get outside while teach you flyfishing basics. Episode 052 of 10K Fly Fishing Experiment. Hours 857 to 868 out of 10000. Fly-fishing in Saarikoski Rapid in Kainuu Region of Finland. Fishing in Finland. P.S. If you want more fly fishing tips, download your fly fishing cheat sheet. It’s totally free. 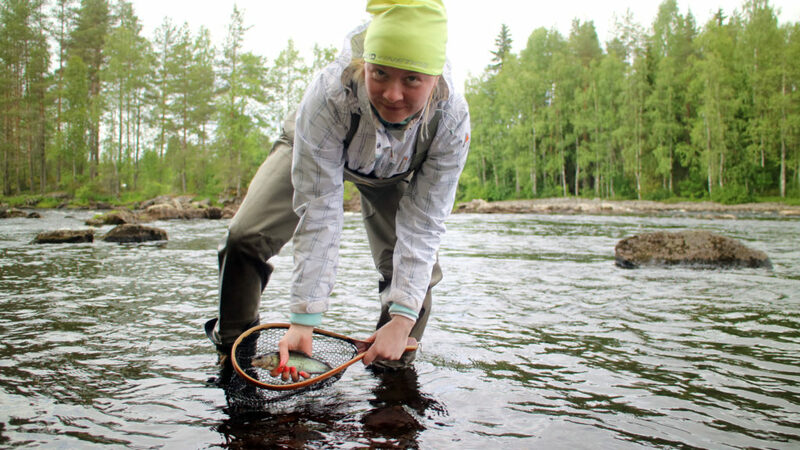 Anni is outdoor & fly fishing vlogger and journalist from Finland.